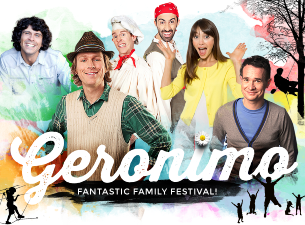 Rambling Through Parenthood : I'm an Official Ambassador for Geronimo 2016! 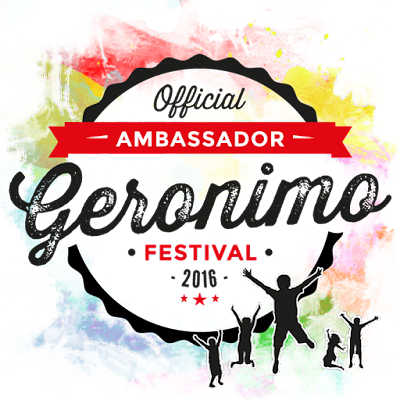 I'm an Official Ambassador for Geronimo 2016! Then there was that day earlier this year when I came face to face with Mr. Bloom from CBeebies. The setting was the first ever Geronimo Festival. If you missed being there, fret not. Geronimo is set to return in 2016 and it promises to be bigger and better. For a start, it is not only returning to Tatton Park in Cheshire for a second year on 29 and 30 May, but it also has a new second home at Harewood House, just outside Leeds, where it runs over the weekend of 1 – 2 May. I am extremely delighted to announce that I have been selected to be an official blogger ambassador for Geronimo 2016. This means I can bring you all the Geronimo gossip as it happens, when it happens. Take the line-up for 2016, for instance. It has only just been announced that CBeebies’ favourite, Andy Day will be at the festival performing his Dino Rap show. It promises to be filled with tales of his adventures to faraway lands. Mr Bloom is set to return to the Geronostage as will Cook and Line from Swashbuckle. Alex Winters from CBeebies will be hosting the main stage each day, along with daily meet and greets. The Circus Zone: includes a full circus show and aerial trapeze show. Circus fudge will also be performing his show from the Glastonbury festival. The Pasture Zone: donkey or pony rides, reptile show, giant tortoises. The Bandstand Zone: music and popular acts on throughout the day. The Woodland Zone: make a mud pie or fairy potion, learn to create a whistle from a carrot or build a den, mobile high ropes course, mountain bike course. With so much on offer, Geronimo 2016 promises to be an absolute corker. Everyone is guaranteed to find something to interest and intrigue. I've never heard of this before but it sounds brilliant. My daughter loves Mr. Bloom. I'll have to look into this for next year. Ooh good to know it's returning to Tatton. Someone else just mentioned Leeds, but was planning to go next year with my friend who's in Manchester. Was too far to go otherwise.